So, apparently in October we shall get fiberglass-connection. I expect the entire hamlet will leave upc like rats a sinking ship. LOL. May be a bit unfair as they were the only ones who at least provided decent internet while Swisscom did not bother - and always even gave us that in writing that they shall not ever bother - to at least bring the basic phoneline up to 20th .... 19th? .... century standard. Are LAN cables within the flat for fiberglass different too? (Should be, no?). So all the old ones will be useless? Can fiberglass-speed internet be transported via power-line adapters? And if so - does it take different power-line adapters than now? The cables are probably older and not good enough for fibre depending on the speeds. Cat 5s are good till 100 Mbps. 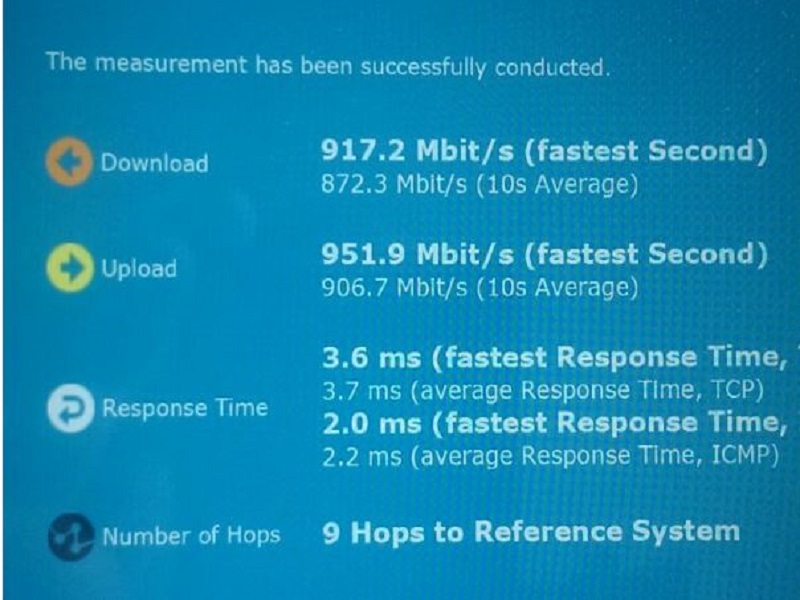 Cat 7s work well for upto 1 Gbps. Same with powerline adapters. Or any other network devices. EDIT : I'm guessing you should have Cat 5s in your place. EDIT 2 : When I say "not good enough", I mean this in the purist sense. I have fiber. Anything under 1 Gbps is meh. So Cat5s don't cut it. Last edited by TheWolverine; 15.03.2018 at 13:08. I am running a SOHO service for external clients, and therefore use two providers - for redundancy. Fiber from Swisscom and Cable from UPC. The difference is only at perimeter - Fiber and Cable modems are different. LAN cabling has no difference. CAT5 LAN cables run 1 at Gb just fine, I'd go for CAT7 only if I wanted to run speeds 10 Gbp on copper. Also, I highly doubt that you'll get 1 Gb WAN (uplink/modem) speed on any modem, Fiber or Cable (unless you want to pay like CHF 1000 per month). Most likely, uplink speed will be below 0.2 Gb, or even less - thats more than enough for most private users. Bottom line is: LAN cabling change is quite unlikely. WAN change (modem) - for sure. Yes the modem-change is logic but that will be automatically done as upc will want it's modem back. I'm pondering my internal upstairs/downstairs connecting. But I think as it's all gonna be done brand-new, I will simply ask my landlord to install a socket on both levels and 99% of my connecting problem will be solved by that. As for cables, it all depends, in our street the buildings get new cabling inside the apartments. As for me, I see no need to change to zürinet, I have currently 500/50 and 2ms ping to servers inside Switzerland, I stopped torrenting and usenet so enough is enough. Last edited by EdwinNL; 15.03.2018 at 14:03. Anyway, OP is not looking for providers but planning the flat-internal-cabeling. Last edited by TheWolverine; 15.03.2018 at 14:17. Before you plan cables, you'd have to decide what you want your network to be capable of, no need to build for 10/10Gbps if you decide to stick to a 100/100 connection. Yeah, that's a good price, for "over there"
arz is right though, I won't go for 1GB. Probably 200MB will be fine for me - and already lightning speed compared to what I have now LOL. The reason I collect information is that I'm going from stone-age to a brand new technique (not even decent ADSL is possible on our phone-lines). I want to think through everything I need to do, so from day 1 the socket is here I know how I sort out the internal wiring, with which equipment and what the equipment will have to be like. We have glass fibre and I researched power line, whilst there are systems that claim gigabit speeds in testing they only achieve around 350mb, a good wifi signal will be faster. We do know what you ment to say in this context, but please make it a habit to correctly use b and B when speaking about speeds. Power line to me is a sort a last resort method for when wifi is not reaching a room/floor of the house and cables cannot be pulled. Power line is generally more reliable when it comes to low latency use, such as gaming, but speed is less then advertised. In my experience I could hardly squeeze 100mbit out of Powerline. I can get 250mbit up/down out of Wifi-N, but only if in same room as the router. Otherwise it falls down drastically. Good old ethernet is still unbeatable and 1gbit over Cat5 works fine unless you have very long cable runs. WiFi is not possible to the downstairs-room in my flat. Which is why I used the power line solution (which is fine at the snail-speed I have at the moment). But this leads to the next question: If - and it has - my wlan-router has 802.11n specification, I will still be able to use it and it will do the trick. Right? An ethernet cable will also work! Or you can also use your internal phone lines, if their not used for the phone system yet. Can't drill a hole through the floor re floor-heating. For a while I had a cable going through the room, down the stairs ..... horror That's why I chose power line. Anyway, as you say, I also though they could use the phone-line to pull the cable downstaris. It will be so darn elegant. Let's face it, I don't think anybody will ever want to plug one of these Richle De-Massari plugs into a socket anymore ever. They look a bit like dinosaurs amongst plugs. Geee, I remember when they were new and mordern, ROFL. If anybody is still after such cables, I must have half a box full of them. The wlan I use between the rooms upstairs. Keep in mind that Powerline will not work with the latest generation of "breakers" in your main panel. We did an update a while ago and it killed the devolos. Best to "borrow" one to test it first. Don't need to run any cables thru. Just use the existing phone lines. FYI. Your "fiberglass" is called fiber optic cable in English.